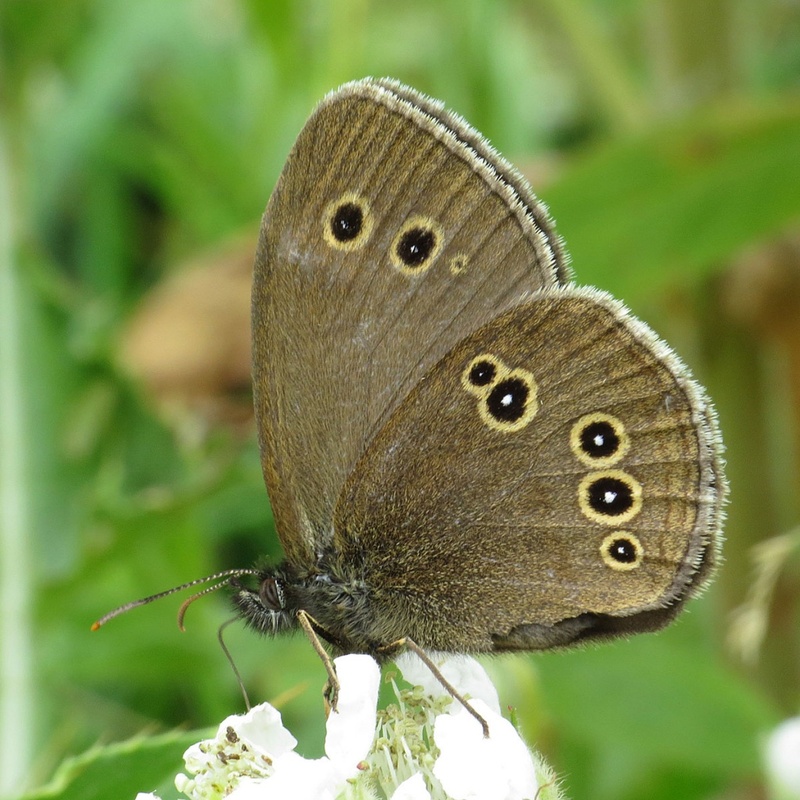 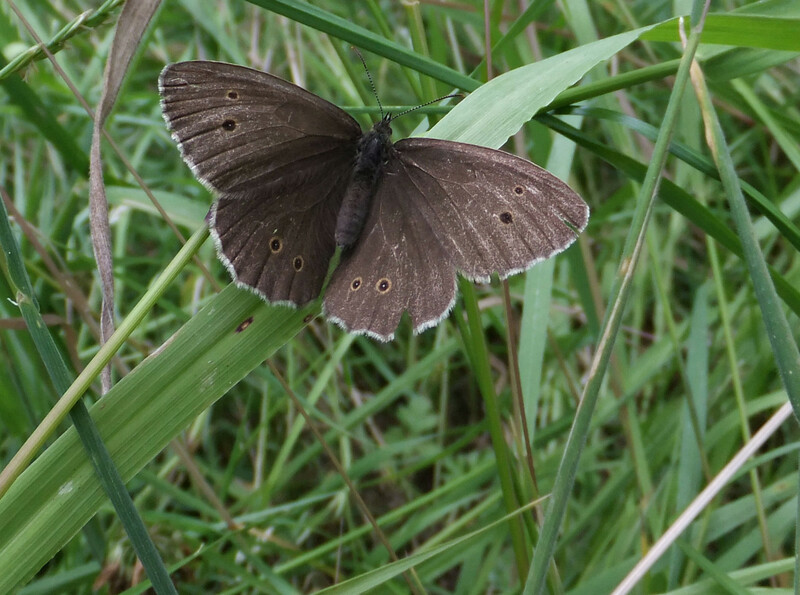 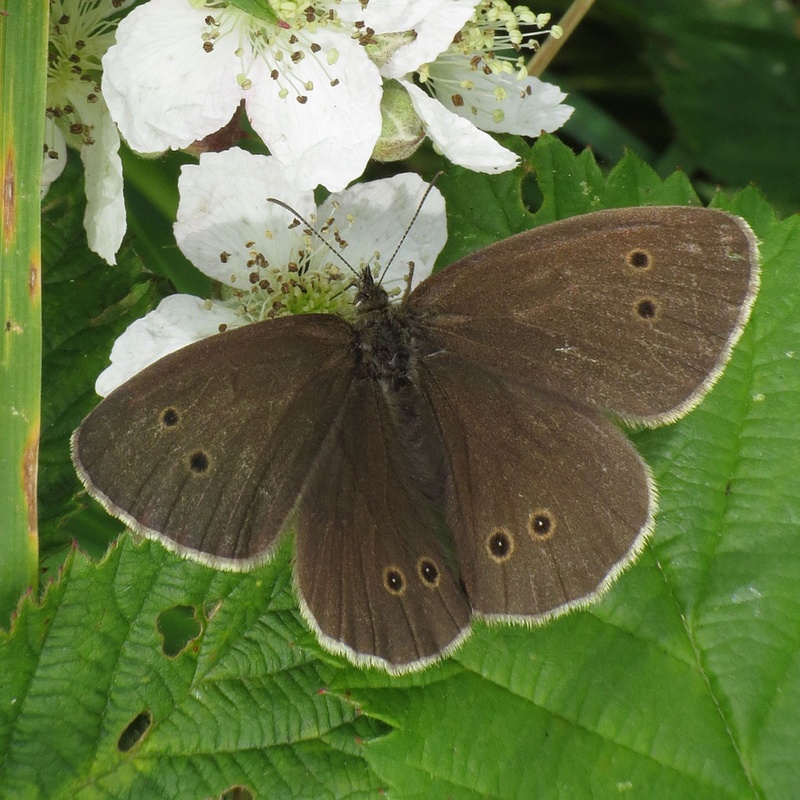 The Ringlet is unmistakable when seen at rest - the rings on the hind wings giving this butterfly its common name. 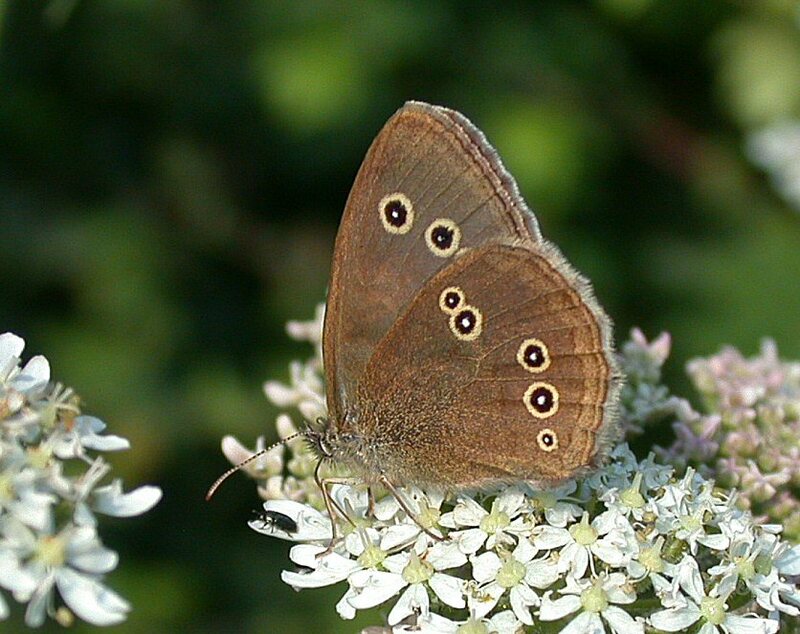 The upper sides are a uniform chocolate brown distinguishing this butterfly from the closely related Meadow Brown. 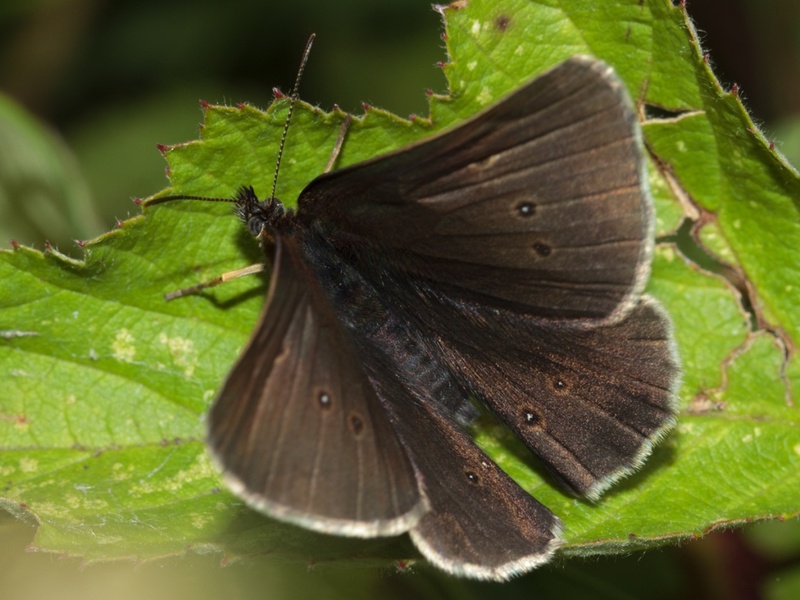 Despite its uniformity, a newly emerged adult is a surprisingly beautiful insect, the velvety wings providing a striking contrast with the delicate white fringes found on the wing edges. A variety of habitats is used, although sites characterised as being sheltered and damp are preferred, such as woodland clearings, woodland edges and rides, meadows, hedgerows, road verges and country lanes, where the full heat from the summer sun can be avoided and where the food plant is lush. 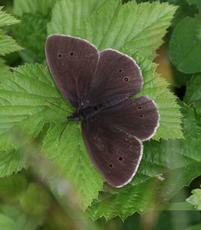 The butterfly is not typically found in open areas, such as grassland or heathland. 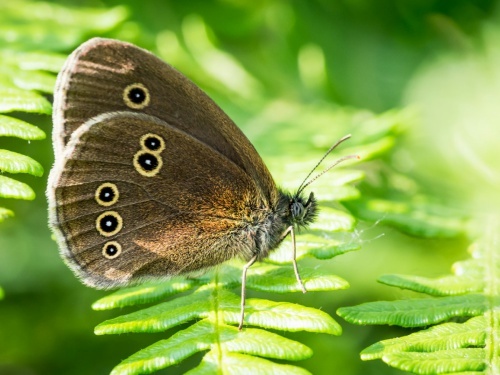 There is one generation each year, with adults emerging in the second half of June, peaking in mid-July, with a few individuals continuing into August. 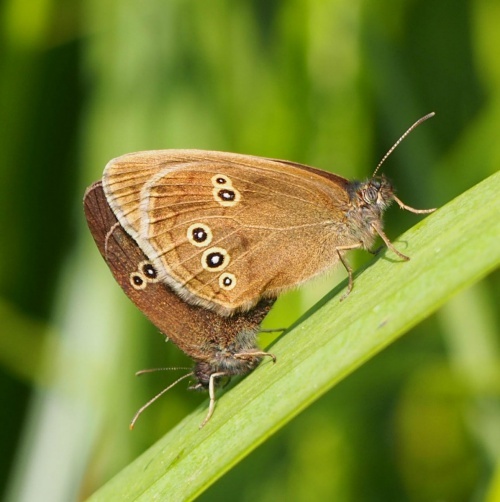 The flight period is relatively short when compared with its close relatives. 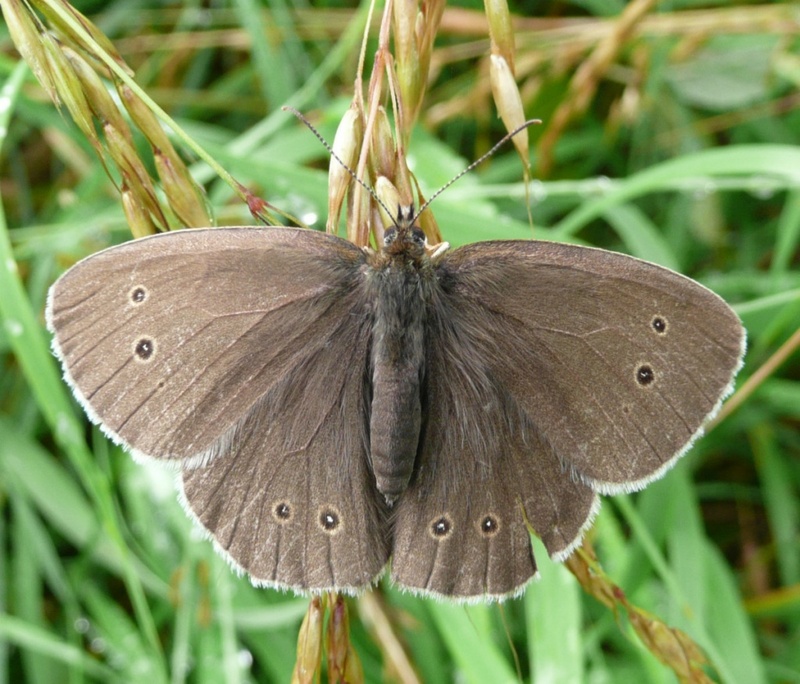 The larvae feed on a range of grasses and then over-winter before finally pupating around June. 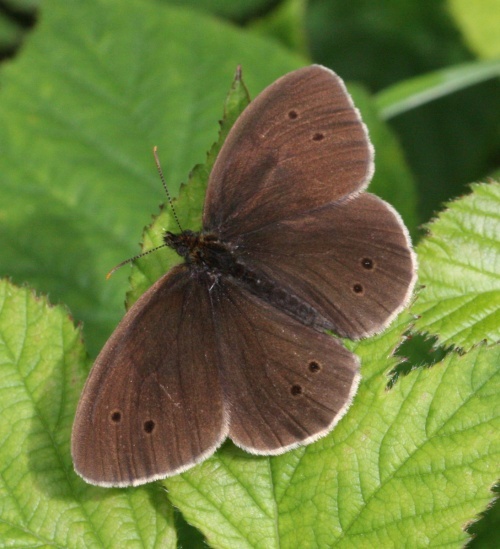 This butterfly forms discrete colonies and can be found throughout the British Isles, with the exception of northern Scotland. Colony numbers vary from a few dozen to several thousand.